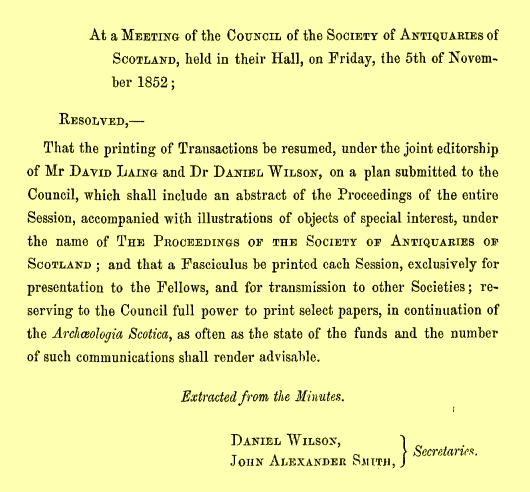 The Society of Antiquaries of Scotland welcomes submissions to its annual journal, the Proceedings of the Society of Antiquaries of Scotland. The Proceedings has been publishing articles presenting original ideas, interpretations, discoveries and results on all aspects of Scotland’s archaeology, history and heritage since its first volume in 1851. Today, the Proceedings continues to publish high-quality, peer-reviewed research and is a vital part of the Society’s aim to translate Scotland’s past for a contemporary audience, and promote understanding of Scotland’s historical and archaeological environment. Submissions may be on any subject surrounding Scotland’s heritage, and historical and archaeological past, including the Scottish diaspora. Articles should be between 3,000 and 15,000 words long, and are published in full colour. Submissions are accepted all year round, and the journal publishes in December each year. The deadline for submissions to volume 147 is 30 November 2017. 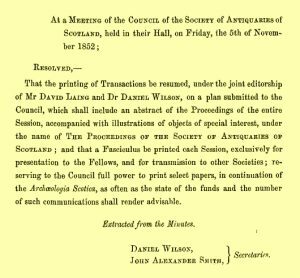 The Society supports Open Access, and we offer both Green and Gold Open Access options for contributors to the Proceedings. We are happy to work within the requirements of AHRC, Wellcome Trust and the Scottish Funding Council/HEFCE’s policies for REF 2021. If you are interested in submitting an article to the Proceedings, please visit our author guidelines page, or contact the Managing Editor for further information. 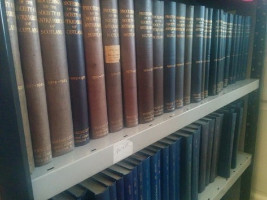 Back volumes of the Proceedings are freely available to browse at bit.ly/PSASvolumes (the most recent two volumes are only accessible to Fellows of the Society).